Sophie is a travel writer and co-founder of Travel Darkly. She wandered through many ‘dark tourist’ sites before she was aware they were categorised as such, including seeing Ho Chi Mihn’s body, the Killing Fields and Teoul Seng in Vietnam and Cambodia with Katherine. She’s been to cemeteries all over the world, from Recoleta in Buenos Aires to Pere Lachaise in Paris and the catacombs in Palermo, as well as inside the cell the Pendle witches were held in and to the Tower of London. Sophie is known for writing about trains both on her blog sophieontrack.com and for various rail companies. She has been copywriting in the travel space for some time now. “I’ve visited cemeteries and memorials all over the world”. I’ve always been a little bit morbid, but dark tourism is really about education, history and remembrance as much as it is about beauty and light. Because where there is death there is always so much life, and it often connects people on a deep and meaningful level. For me, it is important that we remember the dead and their stories. They teach us how to be better people. As a kid growing up in the UK, my parents used to take me to castles in England and Wales. What I loved most about these tours were the stories of ghosts and witches – like Henry VIII’s wives, Catherine Howard, who I read runs headless through the hallways at Hampton Court or Anne Boleyn, who was reported to have had a sixth finger and whose hair was so long she could sit on it. I carried a fascination with the morbid through to adulthood and have always enjoyed visiting cemeteries and memorials that tell stories about those who are no longer with us. I always dreamed of being a travel writer and now that I work in the travel industry, it seemed like a good time to put out the stories I’ve always enjoyed so much to the rest of the world – who I know love them too. I travel ‘darkly’ on most days. I used to live in West Hampstead in London and every day I would walk to Hampstead cemetery to take a break at lunchtime. I’ve visited cemeteries and memorials all over the world, as well as haunted houses, castles and dungeons. 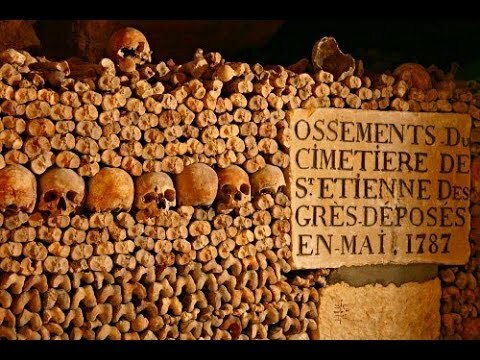 I’ve been to the catacombs in Paris and in Palermo, Sicily, to the Killing Fields in Cambodia and of course, the Taj Mahal and the Tower of London. When I visited Jaisalmer in 2012, I took a trip to the cemetery nearby, where the Maharajas and Maharani’s are buried. While I was sitting there with a friend from the town, a group of people gathered around one of the tombs. There was a man shouting and screaming and I thought a big fight had broken out. My friend checked out what was going on and said that the man believed he was possessed by the spirit of the Maharaja, because he had not been pious enough. They had come to the cemetery to beg for the Maharaja’s forgiveness, and exorcise the spirit. It was a very ‘real’ experience. Box: I was talking to a friend of mine, who had studied history at York and had just got her MA at Bristol University and she had written about all the old execution sites in London, about how I’d been playing about with the idea of a ‘dark tourism’ site for some time and I’d written on the subject for a magazine called Fortean Times. I realised that if we worked together, we could build a site that encompassed her love of history and my love of travel to theme experiences under the umbrella of ‘dark tourism’ and that’s really how traveldarkly.com began. We launched on Halloween 2013. I’d like to help people explore places as dark tourists with the aim of hearing the stories of the departed, to remember them and to learn from them. To those who have doubts, I’d say I do too sometimes – we try and write about things that happened 50 years ago or more, unless sites where tragedies have happened in recent history actively encourage tourism for the purposes of remembrance and education. We do not encourage tourism, for the most part, where recent tragedies have occurred, especially where the victims are children. Dark tourism or ‘thanatourism’ is about visiting sites connected with death or the macabre – everything from battlefields to the tombs of the famous or noteworthy. There is a side to it which is more ‘fun’ – like the haunted places and Jack the Ripper tours (although I’m not sure how visiting sites where prostitutes were murdered should be ‘fun’) and one that is graver – like the holocaust memorials and sites where genocide has taken place. The Taj Mahal is a great example of a memorial. 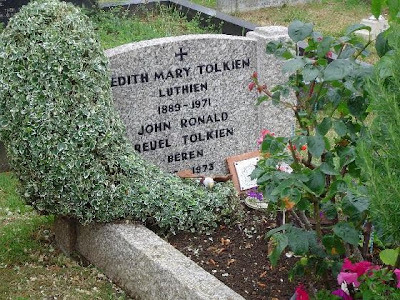 People want to visit it to learn about the story of a man who loved a woman so much he built a huge monument to hold them together for eternity, there are countless examples of this – Tolkein’s grave in Oxford, for example, where him and his wife are buried and an inscription written in Elvish talks about their eternal unity. On the other side of the spectrum, you have tourism to sites like Auschwitz and Ground Zero, which is actively encouraged for the purposes of education and remembrance. And I think it is incredibly important to remember those who have died at the hands of despicable people in the hope that those crimes will never be repeated.